The renovation of Vulcan’s oldest production facility is now complete! Built in 1968, this building was in need of several cosmetic updates. 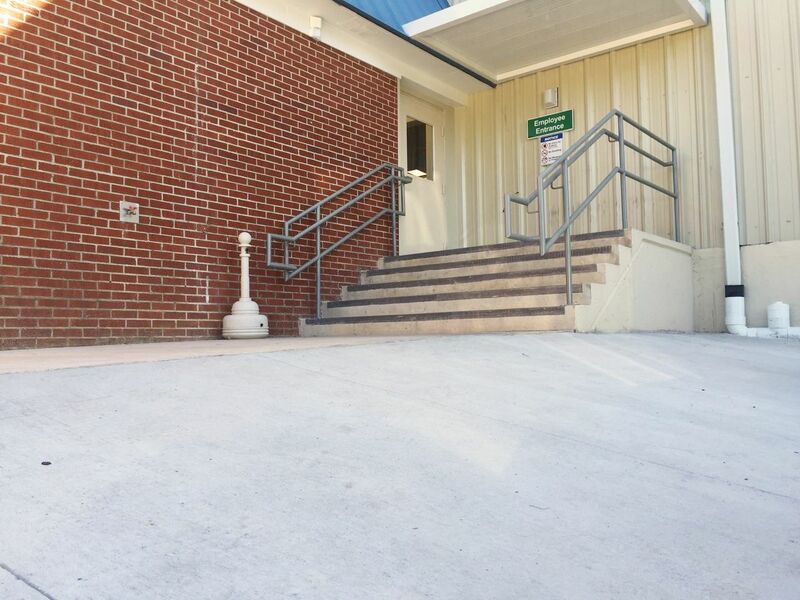 Included in the renovation was a re-design of the employee entrance which included improved space planning and a widened side walk, as well as a new break room and bathrooms. 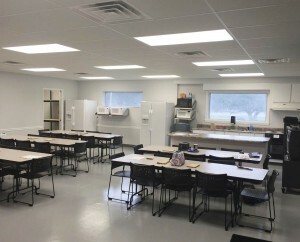 The size of the break room has been doubled by removing an existing wall, allowing for much more elbow room during high-traffic times of break and lunch. Two new refrigerators were also purchased to allow for more cold storage space. A 70” LED monitor was also purchased and mounted in the break room to aid in communicating safety training and company announcements. All new plumbing, lighting and flooring was installed, while walls were also painted for a more modern feel. A new conference room was also created inside the office area. This facility was the only one on Vulcan’s campus that did not have a meeting space such as this, so the sales team is extremely excited about having a space to congregate and meet with customers. 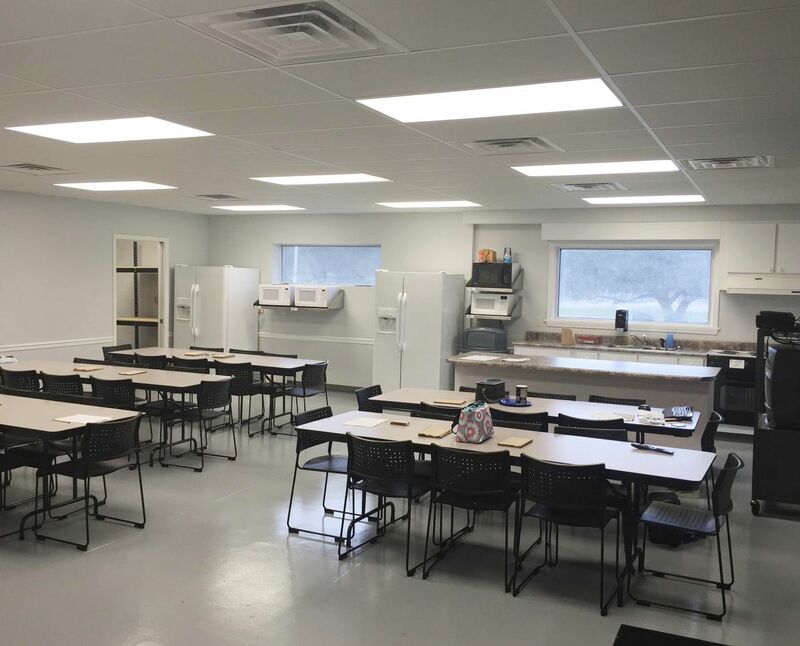 This renovation has been a breath of fresh air for the employees of Vulcan Aluminum and everyone has been diligent about keeping these new areas clean and tidy. All employees definitely appreciate the investment Vulcan made in them! First and foremost, we want you to know that we’ve moved! If you visit us at our old url (vulcaninc.com/vam) you will automatically be redirected to our new web address www.VulcanAluminumMill.com. Once you enter the new site, you will notice things look a little different… Indeed they do! However, don’t be alarmed. We are still the same faces and same company exhibiting the same excellent customer service! The upgraded site includes new and unique features such as an animation that illustrates the Continuous Casting Process of Aluminum versus the Direct Chill Casting Process. 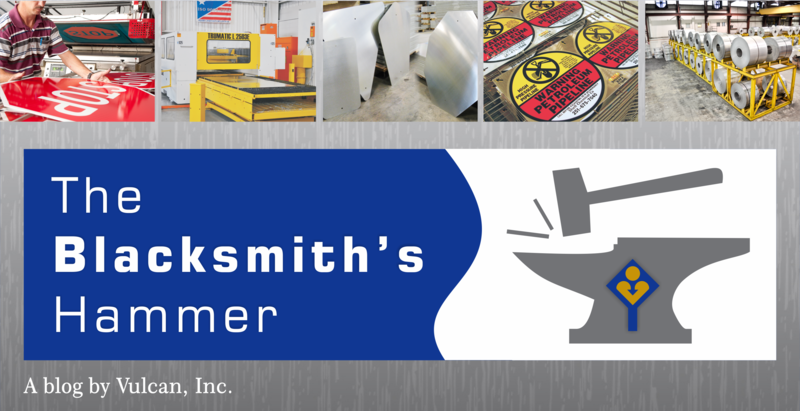 Be sure to check out the Media and Blog page where you can view and download the Specs for the three different alloys we manufacture and click on the link to read our latest blog post on The Blacksmith’s Hammer. The new site is conveniently organized and boasts both educational information, as well as technical specs that we are sure you will find engaging. So, what are you waiting for?! Get out there and explore the all new VulcanAluminumMill.com to find out how our state-of-the-art products and services can benefit your business.